I recently went to a class taught by Marv Penner on students who self-injure. He taught us out of his book Helping Kids Who Self-Injure. As this becomes more of a common issue in the lives of students, we as youth ministers need to be above the curve on this one. So I took some notes and thought I would share them with you. I would encourage you to get all the information you can on this topic. Click on the title of his book to get more info on what you will learn in this post. The more you know about it the more comfortable and confident you will be in facing this issue. I hope this helps. 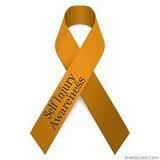 The average self-injurer starts at the age 14 and continues with increasing severity into his/her 20’s. Notes: They are actually finding out that students are starting out as young as middle school. It’s listed in the The Diagnostic and Statistical Manual of Mental Disorders (DSM) published by the American Psychiatric Association as a Borderline Personality Disorder Symptom. Self-harm is a response to a profound and overwhelming emotional pain that cannot be resolved in a more functional way. Notes: You must understand that it is not an attempt at suicide, but if the cycle continues it could be the result at the end of a fighting battle. The self-injurer is trying to save their life not take it. We must understand that we join them in the fight for their life. While there is definitely a spiritual battle going on, self-injury does not automatically equate to Demon Possession. It’s not just about attention, it’s deeper than that and it needs our full undivided attention. Notes: There are a lot of reasons listed here. The point here is to understand that they are hurting themselves to relieve emotional pain caused by extreme abuse, neglect, abandonment, deadness, betrayal, etc (these are just some of the triggers listed). A big one is that they feel a false sense of control and security when they self-injure. Also, they are expressing a cry for help when they self-injure. They want someone to know their pain. Notes: Referring them to a trained professional should be your first step. Then you become a supporter/spiritual coach/prayer partner who genuinely listens and can be trusted. You set the level of severity by how you respond. So you never want to seem shocked or frantic by their actions. The self-injurer is already at their lowest, therefore, using the bible to explain how wrong they are will only add more guilt and shame. We want to use the bible to build and restore so you must be careful how you use it. Self-injurers want help and want to be normal. The worst thing we can do is dismiss them as a trivial attention getter. The best thing we can do for them is address their self-injuring with intentional concern. I do believe we are best for the job. Also, I can’t stress enough about the need for prayer, prayer, prayer! Please leave a comment if you have anything to add or just comments about this post. ← When Boy Dates Girl!! Thanks for posting on this topic. More needs to be said for it. Thanks for being a youth pastor focusing on Pastoral Care. Jumping into the deepend. 🙂 I’m adding your blog to the lists of blogs I follow. Look forward to reading more. A caution on labeling cutting as a Borderline Personality Disorder. Cutting is a symptom of Borderline Personality Disorder. Borderline Personality Disorder needs many other symptoms for that to be placed. Cutting is also a symptom of anxiety disorder and depression (much more treatable and some even go away just with the hormone stabilization post adolescence). Additionally, labeling teens with a personality disorder is dangerous because they never lose that label. (and if it is that diagnosis, they never lose that disorder). National Institutes on Health List a few other symptoms in how to deal with cutting and not labeling with a disorder. There is an unhelpful circularity in that self-harm is considered to be one of the defining features of both borderline and histrionic personality disorder. The diagnostic label tends to divert attention from helping the person to overcome their problems and can even lead to the person being denied help (National Institute for Mental Health in England, 2003). Some people who self-harm consider the term personality disorder to be offensive and to create a stereotype that can lead to damaging stigmatisation by care workers (Babiker & Arnold, 1997; Pembroke, 1994). A good way to think of a personality disorder verses other psych disorders is like baking. A regular psych disorder (depression, anxiety) is like a knife in the cake, once you take the knife out the cake is still a decent cake and can be consumed. Any personality disorder is lifelong. Its like substituting salt for sugar. No matter what you try to do the cake is a salty cake and unfit for consumption. Hence the danger in that label. Thanks for the love and for adding info about this subject. Yes you are correct thanks for catching that. Symptom should be on the end of that sentence. My motivation for this post is to solely give confidence to leaders in this area. So if they ever have to face self-injurers they will have at least a clue of what’s going on. My prayer is that they will do more of their own research. So that they can be super strategic in prayer and dealing with this issue.